Marie Christine Prinzessin von Sachsen was born on 12 February 1735 at Warsaw, PolandG. She was the daughter of Friedrich August II von Sachsen, King of Poland and Maria Josepha Erzherzogin von Österreich. She died on 19 November 1782 at age 47 at Brumath, FranceG. She gained the title of Prinzessin von Sachsen. She was the Abbess at Remiremont, Lorraine, FranceG. Marie Elisabeth Prinzessin von Sachsen was born on 9 February 1736 at Warsaw, PolandG. She was the daughter of Friedrich August II von Sachsen, King of Poland and Maria Josepha Erzherzogin von Österreich. She died on 24 December 1818 at age 82. 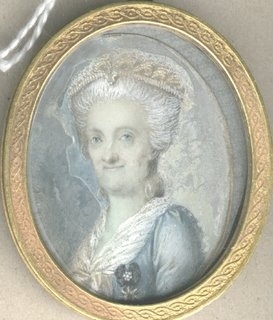 Marie Cunigunde Prinzessin von Sachsen was born on 10 November 1740 at Warsaw, PolandG. She was the daughter of Friedrich August II von Sachsen, King of Poland and Maria Josepha Erzherzogin von Österreich. She died on 8 April 1826 at age 85. She gained the title of Prinzessin von Sachsen. She was the Abbess at ThornG. [S6] G.E. Cokayne; with Vicary Gibbs, H.A. Doubleday, Geoffrey H. White, Duncan Warrand and Lord Howard de Walden, editors, The Complete Peerage of England, Scotland, Ireland, Great Britain and the United Kingdom, Extant, Extinct or Dormant, new ed., 13 volumes in 14 (1910-1959; reprint in 6 volumes, Gloucester, U.K.: Alan Sutton Publishing, 2000), volume XII/2, page 762. Hereinafter cited as The Complete Peerage. William Paulet, 1st Marquess of Winchester was born circa 1483.1 He was the son of Sir John Paulet and Alice Paulet.3,4 He married Elizabeth Capell, daughter of Sir William Capell and Margaret Arundell, circa 1509.5 He died in 1572. 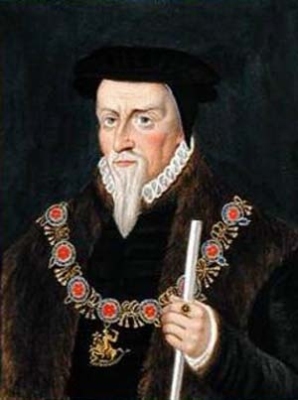 He gained the title of 1st Marquess of Winchester on 11 October 1551. [S6] G.E. Cokayne; with Vicary Gibbs, H.A. Doubleday, Geoffrey H. White, Duncan Warrand and Lord Howard de Walden, editors, The Complete Peerage of England, Scotland, Ireland, Great Britain and the United Kingdom, Extant, Extinct or Dormant, new ed., 13 volumes in 14 (1910-1959; reprint in 6 volumes, Gloucester, U.K.: Alan Sutton Publishing, 2000), volume II, page 204. Hereinafter cited as The Complete Peerage. [S1462] Bevan Shortridge, "re: Maria Woodriff," e-mail message to Darryl Lundy, 4 October 2005. Hereinafter cited as "re: Maria Woodriff." [S6] Cokayne, and others, The Complete Peerage, volume XII/2, page 762.